1. Speak about “The Way You Became A Family” with pride. Start conversations about it and embrace your story. Your child will pick up subtle messages such as your tone of voice, confidence, and your non-verbal clues about how you feel about their adoption. You want them to receive the message that you are proud about how you became a family, so they know there is nothing to be ashamed of. 2. Even if they aren’t talking about it, we need to be aware that young children think about their story. The search begins in their imagination. Our children wonder “Where is my birthmom now? Does she want to meet me or know who I am?” Our children want us to take the initiative in opening the conversation about their birthparents. Remember that children want us to demonstrate empathy and acceptance. Empower your child to feel all kinds of feelings about their adoption story. Your home should be a place where they feel safe expressing a range of emotions about their adoption without fear of upsetting you. 3. At some point children think about meeting their birthmother. You are their real parent, and their interest in wanting to meet their birthmother is not a threat to you or your role. It is natural to want to know where you came from. 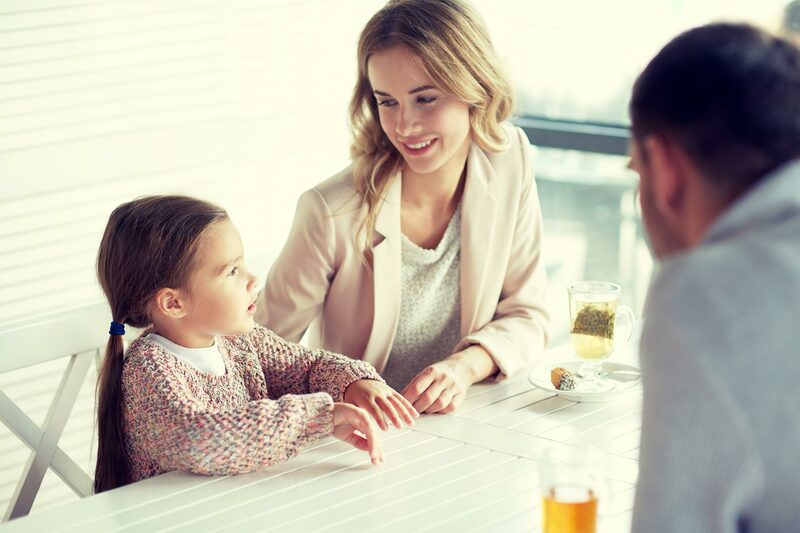 If you do not have an open adoption but feel your child would benefit from a more open relationship with their birthmother, seek out a licensed adoption professional to help guide your family through the process. 4. Keep in mind that there is a difference between secrecy and privacy. Respect your child’s privacy. It is not necessary to tell others the details of your child’s adoption story. Remember, it’s their story, not yours.